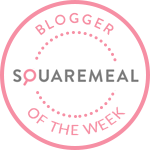 Emily's Recipes and Reviews | UK Food Blog | Leicestershire : bakewell tart cheesecake. In the Midlands we're pretty spoilt for food. With Leicestershire as the home of Melton Mowbray pork pies and Stilton cheese, breweries in Burton-on-Trent and the amazing curry houses in Birmingham and Leicester, there really is so much to choose from. A particular favourite of mine is the Bakewell tart, or pudding, which hails from the Derbyshire town with the same namesake. The puddings and tarts are a little different in recipe and texture, but they both have that delicious medley of almonds and cherries that I can't get enough of. If you've read my recipes or scrolled through Insta before, you'd know I'm pretty obsessed with any adaptation of my beloved tart. So when Leisure cookers challenged me to make a twist on a classic regional dish at my next dinner party, I knew I had try a Bakewell cheesecake. My mixer and range cooker are my best friends in the kitchen so I couldn't wait to get started. Step one. Begin by crushing your biscuits, either in a food processor or by putting in a bag and hitting with a rolling pin. Step two. Melt the butter over a hob in a saucepan and add in the biscuits, vanilla and almond essence. Add to a loose bottom pan and allow to cool in the fridge for at least an hour. Step three. Make the topping by mixing together the soft cheese, icing sugar and double cream in a mixer with a whisk attachment. Add in a little raspberry jam too. Step four. Layer up the jam over the biscuit base, followed by the cream cheese mix. Swirl with the remaining raspberry jam and allow to set for at least 4-5 hours. Garnish with almonds and cherries (remember to tell your guests if they have stones!) and serve on a pretty plate! Have you ever been to Bakewell or tried a traditional tart? Or even a twist on the classic cherry Bakewell? Be inspired by other regional foods around the UK with Leisure's guide to the best local eats. Hey, after reading your blog I developed a taste for cheesecake. I love your blog and made peanut butter pulled pork over the weekend and now it's my kid's favorite. Thank you Emily and Positive News Trends for sharing amazing and easy recipes.